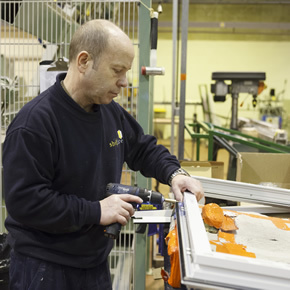 As a long standing producer of PVC-U double glazed windows and doors, Shelforce boasts a wealth of experience of working within the new build, education and social housing sectors. Having targeted these markets for growth, Eurocell considered the company a natural partner. The alliance between the two manufacturers will see Eurocell undertake the role of supply partner; it will deliver the components and materials for its Modus and Eurologik window systems, along with its range of composite residential doors to Shelforce. Eurocell will also invest around £50,000 in software, machinery and tooling for the company; in addition to this, its technical team will provide Shelforce’s workforce with continuous product training and support. The company is proud to be a part of the new agreement: with a predominately disabled workforce, Shelforce supports and endorses corporate responsibility, appealing to Eurocell’s ethos. Similarly, Shelforce predicts that its position in the market place will benefit from Eurocell’s sales and marketing support. 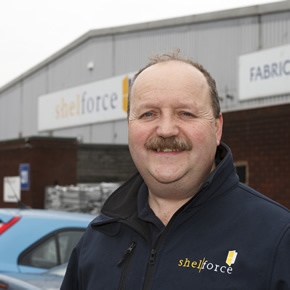 By allowing it to offer a wider range of products, the partnership will enable Shelforce to bid for more work.